Congratulations to our very own Danni Ackerman! 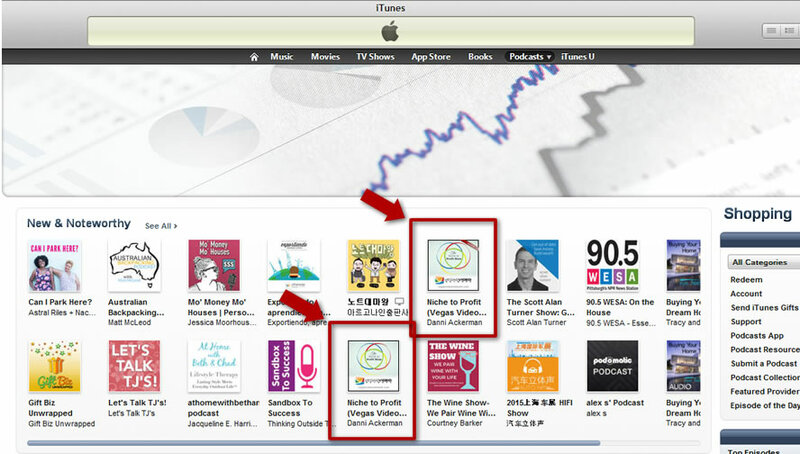 Both the audio and video version of her show, Niche to Profit, has been selected as a NEW & NOTEWORTHY PODCAST on iTunes, in the Shopping Category. This will look for any software update for your Roku (good) AND also look for any new channels. It will find Vegas Video Network and load it on your Roku. Now, when you look at your list of channels, you’ll find a second Vegas Video Network channel at the end. Use that one until we’re officially approved. Then, you can go back to your original VVN channel. 5/18/15 Update: The channel is fixed. Follow the third step above and you’ll see the corrected VVN Roku channel. So that Brett can properly celebrate his birthday, we’re moving this week’s live stream of Living in Las Vegas to WEDNESDAY, 4/15, at 8PM from Tuesday at the same time. We received a few emails/post comments about the audio level being very low on the new episodes of Living in Las Vegas. We did some snooping around and found the problem. 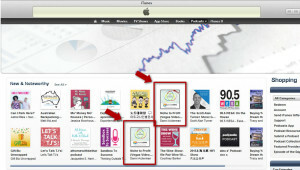 For episodes LiLV205 and LiLV206‘s MP3/audio files, they’ve been corrected and uploaded. If you reload your feeds, the louder MP3 files will load. Moving forward, this shouldn’t be a problem for either the video or audio files.